Dala Gloss Glaze Medium is an off - white, pure acrylic medium that can be added to acrylic paint to enhance the glossy sheen of the paint, as well as the colour brilliance. It increases the paints depth, trasparency and flow. It can also be used to dilute the paint for painting thin but vibrant glazes. 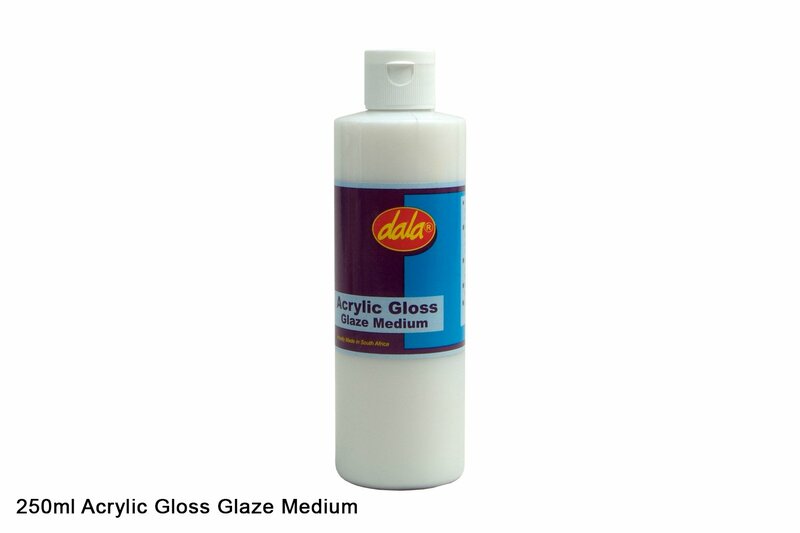 Dala Gloss Glaze Medium can be mixed straight into acrylic paint, or it can be applied as a last layer / varnish. Apply the gloss glaze medium with a soft brush, OR dilute with water and apply with a spray bottle. As well as being a protective varnish for acrylic paints, it can also be used as a last layer for soft pastel and charcoal work, watercolours and many other water based products. This item has 1916 views.